The Zebra AP 8222 has been discontinued. No direct replacement is available. 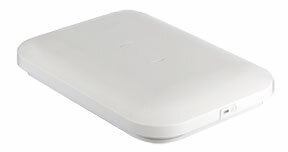 Fifth generation wireless Wi-Fi networks for customer-facing spaces. Deliver fast wireless LAN access in a wide variety of high-traffic settings such as busy hotels or retail stores "" AP 8222 speeds are up to 4x as fast as 802.11n. You can also count on gap-free security guards and a host of extra options to create the right experience for your guests on a system you can configure, manage, and optimize for your needs. AP 8222, 802.11ac Dual Radio Internal Antenna - US Only Version.